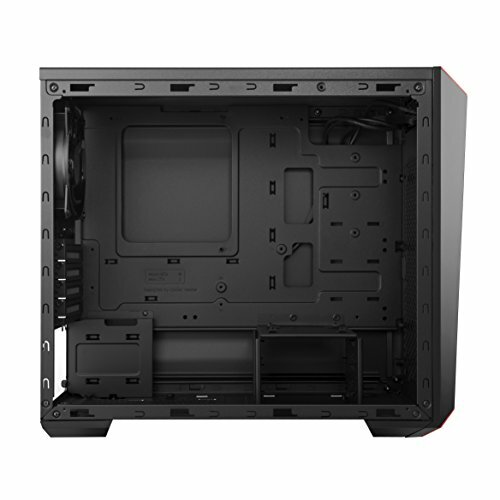 It's a cheap tempered glass case with a red trim to match the card (and if we ever decide to get red LED strips). I wanted an mATX case just so that there wouldn't be too much leftover empty space in the build, and it looks good but I will say that cable management was fairly difficult (I had to shove on the back pannel and there was a small buldge), there’s no PSU shroud and build quality isn’t the greatest. I feel like it sacraficed all this just to advertise tempered glasd for a low price, which shouldn’t take priority over these other things. 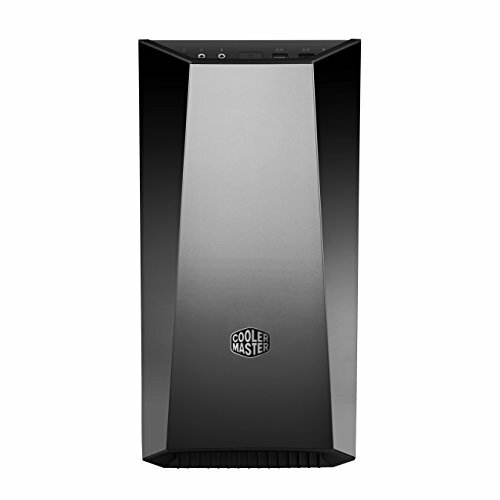 A really nice and sleek computer case 10/10. Everything about this case is great except for the cable management experience. If you've decided to build a system in this case, having a power supply with all black cables is a must. Use a semi or a modular power supply if possible. There is not a lot of room behind the motherboard tray for excess cables. Overall, still a great case for builds when you're on a budget but still want to show off your awesome components. 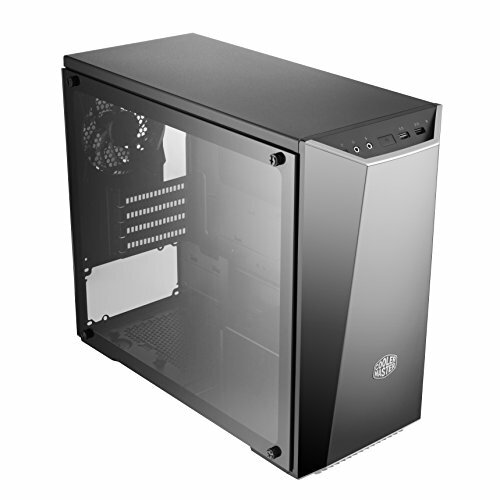 from completed build MasterBox 3.1 TG - "Toaster Oven"
Great Case Overall BUT there are significant issues with airflow especially if you plan to mount a 240mm radiator to the front. 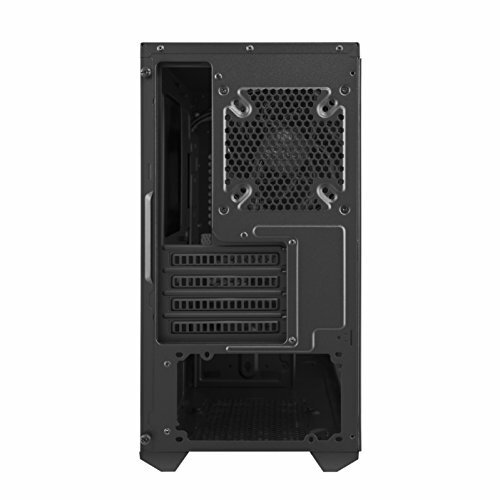 The airflow intakes are limited ESPECIALLY THE BOTTOM CUSTOMIZABLE PANEL. I took out the bottom red panel and increased temperatures by 5 degrees. Modded it to widen the space between extra plastic piece and actual front of aluminum case and improved another 5 degrees. Ah what can I say about this case? It was on sale for $29 at Micro Center and I decided to go with it for that very reason. It is flimsy but it gets the job done. Many complain about the lack of back panel space for cable management, but they are just being lazy. I was able to perform some cable management with some effort. This case is fantastic for the price! In my build, the lack of a PSU shroud helps the aesthetic, I can show off that RGB power supply! The clear front panel and the tempered glass are very nice too. I've noticed two downsides though, one being limited airflow, and the other being cable management. There is only a single exhaust in the back, another exhaust or two on the completely solid top panel would help a lot. Cable management was very tricky, but still doable. Getting the side panel back on was a struggle. Also, a cutout for the CPU power cable would be great as well. Besides those two issues, this is a great little case! It also includes a single fan, and three different trim options: red (default), black, and white. from completed build My "budget" streaming setup. Haven't scratched the side panel yet, so thats good. The case looks stunning. Add an RGB strip in it then you're good to go!